Portrait by Haydon Jones. Gift of Alfred Farlow Association of Students. SIBYL WILBUR attended Hamline University, a Methodist college in St. Paul, Minnesota, and worked for a number of years as a pioneering investigative journalist before joining the staff of the Boston Herald. Early in 1905, the Herald attempted to arrange for Sibyl to interview Mrs. Eddy, but it was not until May that the interview was granted. Following the interview, Sibyl had a great desire to defend Mrs. Eddy against attacks by several New York newspapers, as well as McClure’s Magazine, which was then publishing a series attempting to discredit the Leader of Christian Science. Miss Wilbur sought to refute this effort by publishing, month by month beginning in January 1906, a year-long series of fact-based articles in Human Life, a popular magazine of the day. The series became the basis for her book, The Life of Mary Baker Eddy, which was the first biography of Mrs. Eddy ever published. 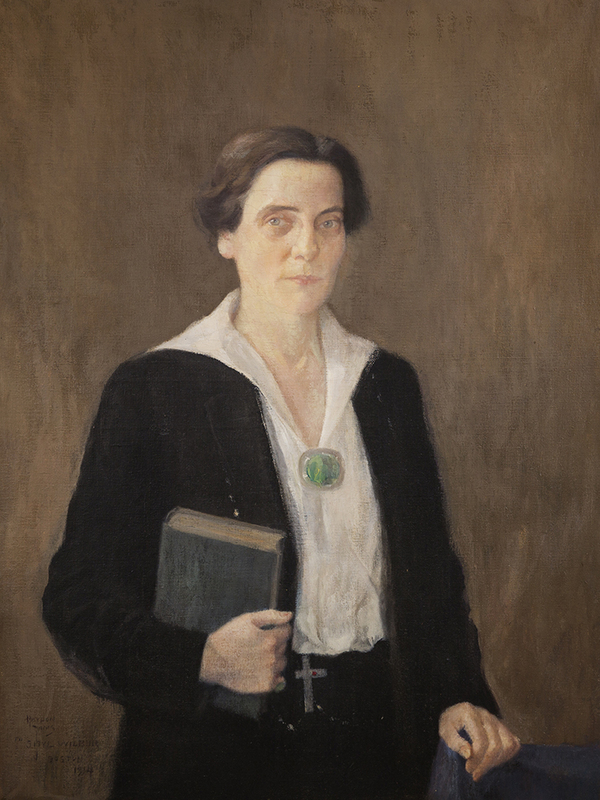 Sibyl Wilbur later studied Christian Science with Alfred Farlow, one of Mrs. Eddy’s students.